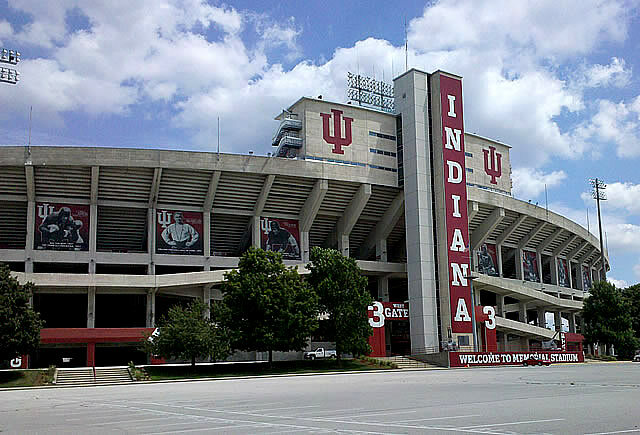 Indiana is one of the most improved teams in college football, and the oddsmakers have made a big mistake by installed the Hoosiers are home underdogs Saturday against Missouri. For starters, Missouri is a money-burning 9-22 SU in road openers and 0-10 SU on the road versus Big Ten Conference opponents since 1980. Let’s also note that the host is 4-0-1 ATS in this series and Missouri is coming off a misleading 38-23 win over Toledo in which the Tigers were outgained and benefited from a +2 turnover margin. Indiana is averaging 50.0 points per game this season, including 5.4 yards per rush play, 10.3 yards per pass play and 571 total yards (7.6 yards per play; 11.4 yards per point). Overall, the Hoosiers are 0.9 yards per rush play, 2.5 yards per pass attempt and 1.6 yards per play better than average offensively in 2013. The above statistics support my belief that the wrong team is favored in this game. Moreover, for the first time since 2008, Indiana’s defense held an opponent without an offensive touchdown in its 42-10 win over Bowling Green. Overall, Indiana’s defense is 0.5 yards per play better than average, which is certainly good enough to limit a Missouri offense that is sub-par from the line of scrimmage (0.2 yards per play worse than average). Take Indiana and invest with confidence.